Now, I don't consider myself to be die-hard Lush fan (Lushie? is this a thing? if not, can we make it a thing?) but I do love some Lush products. Of course, their bath bombs and bubble bars are fantastic but I've actually tried very few of their other products. I've a vanilla solid perfume that I am head-over-heels for but that was pretty much the extent of my Lush experience before I bought this stuff. I have wanted to try Lush skin products for as long as I have known of their existence but I only recently graduated college and before now have not been able to afford things like $13 face mask. Even still, that seems like a lot of money for 4.5oz product. But after doing some research (and receiving a Lush gift card from my wonderful Fiance) I decided to go for it. This one is the self preserving version, (I've heard they use Tofu for the self preserving products, but don't take my word for it) however that doesn't mean that it's not ever going to expire. It does, it just doesn't need to be kept in the fridge and has a 3 month shelf-life from what the little expiration sticker said. Question: If I keep the self preserving stuff in the fridge will it last even longer? Anyone know? 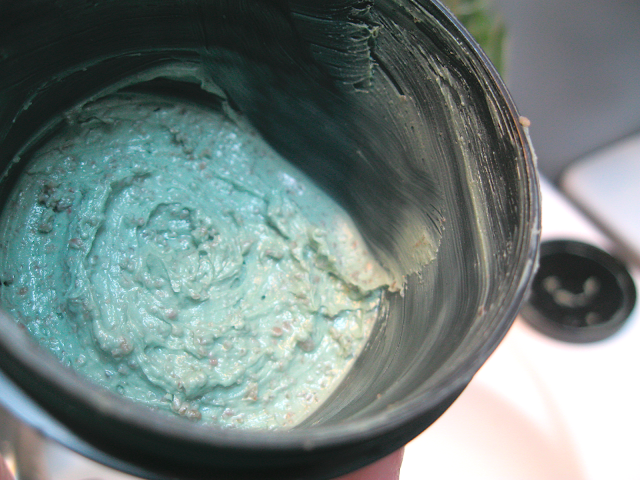 Everything about this mask is MINTY - hence the name I suppose. BTW I'm so glad I don't actually have to say it in front of any of you because, for the life of me, I cannot get a straight answer as to how it's intended to be pronounced. 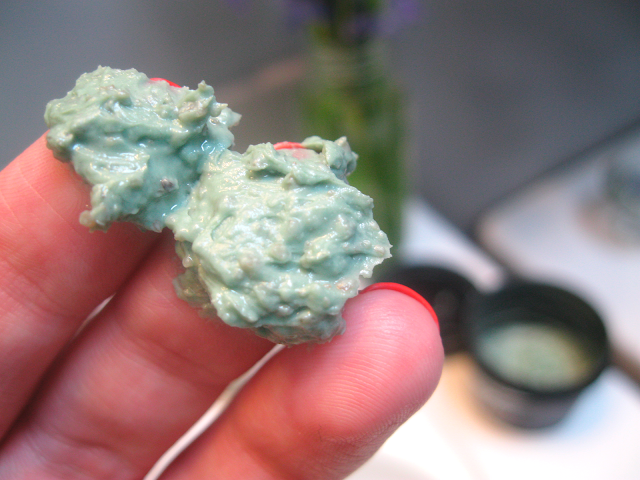 This mask is a minty sort of green color with what look like a bunch of tiny little balls in it. After reading the ingredients I found out those are actually seeds or beans! 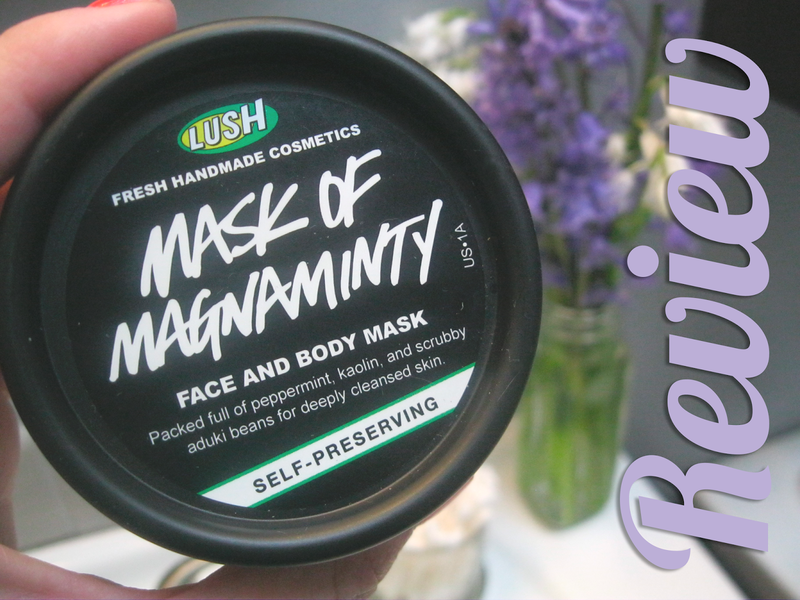 for a very gentle exfoliation ( I'm a plant fanatic). It also smells amazing. It smells like sweet mint, but it's not overpowering in the least. And finally, it also feels minty. It has a lovely cooling and very slightly tingly sensation while it's on. I love it. Smearing it on however, was a little strange at first because it's pretty thick and with seeds it's got a bit of an odd texture. Once I wash this off my face feels hydrated and very smooth but it's the following day that I noticed a real difference. It does help my skin as far as blemishes and such. I find that it reduces the size and intensity of already existing blemishes and does seem to prevent breakouts when I use it regularly enough (like once or twice a week). I also notice my skin tends to be calmer/ less red than usual, which I'm pretty sure can be attributed to the vanilla in the formula. Overall, I'm pretty dang impressed with this mask. I like the experience of applying it and the tingly sensation while wearing it. It seems to actually help my skin in multiple ways and especially in trouble areas. I would highly suggest this mask. What mask from Lush (or anywhere for that matter) should I try next? I'm a fiend for a good mask.